I have always mentioned here that a virtual assistance career is a journey of self-discovery. The path to take is not always straight, plain or smooth. Bumpy roads such as self-doubts and “fail” days can fill your path. And when you move forward you would have to make scary and risky decisions if you want to go ahead and improve or else stay on with your comfort zone – leave growth for the next day to decide. One of the most challenging questions a VA would need to answer is if they continue with their journey as employees or as an Entrepreneur. This is a crossroad we often encounter and at most part, we choose entrepreneurship. But as we go on this direction, more bumpy roads are ahead of us; that is when we begin to question, just what it would take me to get pass through it and be the VA I want to be? And when answers evade us, we settle as being employees yet again. No, I am not saying that serving my clients as their fulltime VA, salary-based, is boring. Wanting more does not mean that I would rather be in another place or work. It is not about the fun of working with my virtual employers. It is about the challenges I put to myself to grow. Take on more control on the services I provide. Take on a more challenging role with my clients. Instead of waiting on tasks, I suggest; I lead; I recommend. And in doing so, working in partnership with my client, I can get out from the limit my job description has put me into. 4 years into this business; 4 years of serving great clients; sharing a dream; seeing their vision; it is really hard to just sit and not do something to help more. But where to start to get pass through that crossroad – through those hurdles? Evaluate skills. I have to know what I learned so far as this would be my services package. Take on a mentor and apply guiding principles to keep me grounded. I still take on mentors and inspirations as I did before. Only this time, I followed those who took on entrepreneurship too. Seek out the right people to join me with this new endeavor as a VA. I created a team of people I can trust and share my aspirations as well as frustrations. Launch my website– launch my business! If you are a VA like myself, maybe you could take on the steps above as well. My best advice is to just take a deep breath and take the leap of launching your website. NOTE: don’t forget to inform your current employer that you have taken on the challenge of growth. Introduce the new you – VA Entrepreneur. For more details on how I took on this journey and how I manage thus far, visit my New Website. Let’s take on new challenges together. Don’t forget to leave a comment below or just shoot me a message in my Contact Me Form – believe me, I always have time to answer inquiries. My Journey… more to come! If you plan to go on a diet, don’t just do so in a rush; you might find yourself losing weight and then back again, if not worst, to your previous weight. This will cause you a lot of disappointment and if you are this kind of person, depression. I have discovered that losing weight and maintaining a healthy weight is a lot of work and discipline. Some people just see this as vanity but I don’t see wanting to be healthy so that I can have a longer life as vanity. I am a VA. My work requires me to sit in front of the computer for 16 hours, if not more. Because of this prolonged position of sitting, I gained weight. Well, not really, I gained weight when I had my first baby. But I eventually lose some pounds off. But when I became a fulltime VA, it all came back with a vengeance. My decision to lose my weight is not entirely on aesthetic. The truth is that my husband would have me fat or thin – no difference for him. However, with the weight, I felt my energy ebbing. I don’t have the flexibility or agility that I used to have. And I can’t blame age as am not that old yet. Lost of energy and lack of agility means I don’t have the ability to play with my kids. And this thought, saddens me. The reason why I want to work at home is to be with my kids but as it turned out, I am not able to be there for them as I envisioned me to be because I just can’t. I know I was not healthy with my weight. And so, I decided to lose weight. 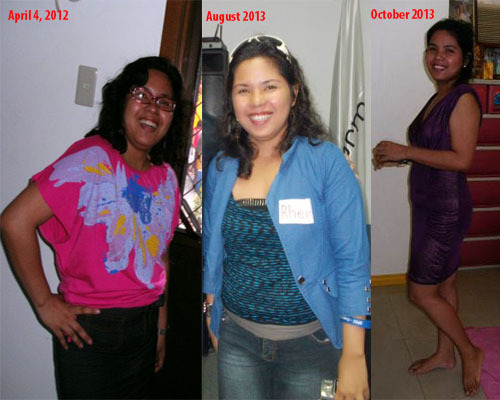 I decided to lose weight last 2012. I went trekking just to tell myself I am determined to be active and healthy. And I went on a month diet strictly following the pilot’s diet. I lost some pounds but as I mentioned above, we really can’t just decide to go on a diet spree. Eventually, we will be at lost. Diet needs to have a plan. And there is quite a science, albeit a simple one, behind the plan. As an article writer, I was able to write and read a lot about weight loss. I realized that weight loss is about three things: discipline, determination and a way of life. Here is a path to weight loss that I went through. Self evaluation and acceptance. You have to accept to yourself that you are in weight that is not healthy and is keeping you from doing what you love to do. Knowing that you are beyond the healthy weight is not enough. When I gained weight, I was in denial for a while that I need to lose the weight. I am already married and I don’t need to look pretty, I thought. But as I mentioned, it is not just looking good that made me realize I have to lose the extra pounds. It’s the idea of being able to do the activities I used to do with my nephew and nieces when they were young to my kids now. So I have to accept that my weight is not healthy and I have to lose the pounds that are weighting me down, physically and emotionally. Belief. Okay, I realized I am over weight at 165 pounds with my 5 feet frame. The thing was that, I thought I was at a point of no return. I thought I was too fat to ever lose it. And if I lose that weight, I can just imagine the flappy skin! But again, I did not decide to lose weight to look beautiful. I just want to be healthy, to feel healthy. So I summoned this belief in myself that I will be able to lose my weight if I put my mind into it. Too a year before a clear result happened though. But because I believe I can, I was able to lose weight. Realization. Beyond losing of weight is the fact that it is but half of the first battle of being healthy. In fact, the simplest thing that you can do in weight loss is losing the weight! IT IS NOT HARD AT ALL TO LOSE WEIGHT! That was my first realization. My second realization is after the euphoria of losing the weight; that super excitement that I was so full of energy for some weeks; is the lost of energy because I am at lost at what I should do next. I am at lost of what food, healthy food, to eat to keep my weight. I go on days at times, not eating in fear that if I eat the WRONG food, I will gain the weight I lost. I started working out (I got from youtube) at home when I lost my weight last September and I was happy with the result after two months. However, when I no longer have the idea what to eat and I did not eat, I can’t workout anymore and I lost the energy I so much crave at the start. I am also always bloated not to mention that I am in constant fear of gaining weight again. It is at this point that I realize I will need to have support from people who are on the same interest as I do in weight loss. You are not alone. I am not alone. I don’t need to lose weight alone. Losing weight is a great opportunity to meet people. When you get stuck and don’t know where to go afterwards, find people who understand just what you are going through. I found 8 Week Run Transformation with Mark Macdonald, an FB group (They have a website. That is where the link will guide you). I just stumbled upon them when I started to think about adding some activity so I can eat more. I thought to run. I never thought that this group is beyond running. I am just so lucky that I found the group, asked to join and they accepted. Tomorrow, I am going to start an 8 week plan of eating healthy and keeping fit. And again, as I continue on my journey on keeping the weight I need, I know that weight loss is discipline, at first, because I have to follow a plan and need to keep at that to see good, consistent result. I also know, 9 months after I lost my first 9 kilos, that I need to have determination to keep it away too. And lastly, I know am on my way of having weight loss as a way of life because I start to feel enjoyment at what I do. I love planning my meal. I feel happy each time I discover what healthy food I can eat. And mind you, living in the Philippines, thinking the equivalent of the food recipe I read in the group is twice the challenge, something I look forward to do. And yes, I will have a different blog for my weight loss journey so don’t worry if I seem to forget I was supposed to write about tips on how to be a VA and all that I used to write here. See you again next Tuesday for another Tuesday dose of VA lifestyle! There was a time that I thought, if I want to do things right, I get a book (if am lazy, I get an article online) about how to do things right and follow the tips and advice to the dot. And… I was never able to do it. As always, I would see one interesting post, book, to another and I read them all. This creates ‘overwhelm’ inside my brain and I end up munching theories rather than acting on facts. But, I was able to focus on a how to article, or more like an image. I have this abs workout image. 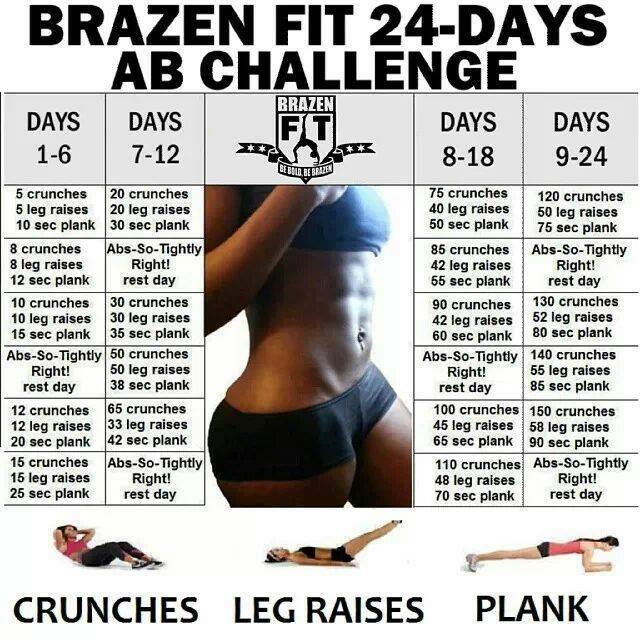 24 days of none stop work out to build my abs. Yes! I was able to do the work out exercise for 24 days and then more because I got hooked up with working out. Sadly, it didn’t give me the abs as shown in the picture. However, I got trimmed down and I love it! The image was just given to me, whoever the owner of this.. thank you! Then, I learned three things from the experience that would bring me to where I want to be, Internet Marketing Extraordinaire (shy to say it but it’s my wish to be me). Focus. Among all the things you can read, you have to zone in your attention to what you can apply right now. Focus on one thing that is closest to your heart and expand on it. Just like you exploring the macro and find the micro to start with. This is because you just can’t take it all at once. First, time won’t allow it. Second, just how much percent of your brains you can use for storage? Third, you don’t have to read it all to know it all. Leave some room for experience to know you know what you know… get what I mean? So focus on the things you can take action right now. Discipline. Keep on doing what you are doing. Create a habit. Build a character. Keep on pounding at what you think you should do. Yes, the TV is there. Yes, you would like to have time to chat with friends. Yes, Facebook is just in front of you. But you know, you can’t work when playmates are around. You have to teach yourself to follow your time, do what you said you would do and keep at it until that would become you. Always give yourself a chance to learn and grow. We are humans, with our human tendencies to play around. Discipline, for me, is THE word that would keep me away from work. It is so un me. But, I acknowledge that without it, I won’t reach my goals. And so, each time I fail to discipline myself, I give myself a chance to get back on track. This is where I don’t give up just because I have my weaknesses. My desire to go where I want to be negates my desire to just sit around and be pretty. Well, I would like to tell more but at the moment, writing this keeps me away from work. However, this is a part of what I do that keeps me going so I forgive myself for this waywardness. If you think differently, or if you want to add some more tips on how to be the VA extraordinaire, feel free to comment below. And, if you want to learn more about how it is to be a VA, Contact Me and tell me how I can help you. And so I was researching for my local business establishments who have twitter, linkedIn and Facebook page and oh boy, I am having a hard time locating one small scale business that bothered to have keep a good social media presence. Okay, I can understand that Social Media can somewhat look like a noisy and at time irresponsible place to put your business in. I mean, how can a reliable business man, or woman, want to put your business credibility on social media? And what more, why should you invest time and yes, if you are serious, money just to have a social media presence for your business? What is the point, REALLY? Isn’t it enough that you are bombarded with nonsense post in your personal profile timeline, why should you start a page that will likely lie fallow and be filled with nonsense stuff as well? And how about twitter; how could it benefit your business to have one? And yes, social media marketing works well in the US, UK and other countries whose citizens are often online; you might think that most of Filipinos don’t bother to go online. So really, if you are a small establishment that rents out a gown or a service based establishment or a small school, social media or anything online might not benefit you at all. If you think that is so… then answer these questions. How is your revenue? Are you getting your target sales? Are you servicing more clients than you can handle? Do you have a steady stream of customers? Your company is progressing as you need it to be? If your answer to most of the questions is “No” then I would say that you need to promote your business in all ways that you can. And the good news is that, social media is among the cheapest way in marketing your business. And at times, if you know how to navigate your way through the social media world, you can easily promote your product locally for free. So, specifically, just how having social media set up benefit you and your business? Social Media is the Mall or market place online. This is the crowd builder online. And what’s so amazing is that these platforms are built to help you reach out your target market. According to wiki.answers.com, there are 22,316,340 million Filipino who are on Facebook. This is about 22.34 percent of our total population and about 75.14% of our total online population. And mind you, this is growing every day. Two years ago, a little bit of a history I know, Philippine Inquirer said that there are 9.5 million Filipino on twitter and I bet it has grown for the past two years. Another means in reaching out your target market. I was supposed to speak in a Woman Empowerment seminar sponsored by DOT region 3 but we had some family event that day I was not able to make it. But the organizers were my friends and I asked them what happened that day. And oh boy, I was really sad because I was not able to make it and answer this question (I am paraphrasing) “Did you mean that now there is an Internet marketing that traditional marketing is obsolete?” Of course not! Whatever works for your business is still the best. At the end of the day, you look into your ROI. These figures will tell you if you have promoted your products or services well. However, as a strategist, you would see the light of utilizing whatever resources are available to make your target market know you exist. That you can provide this kind of service. That you are there for them. Would it hurt to use traditional and use Social Media marketing or digital marketing at the same time? If you know how, wouldn’t you want to try it for your business too if it would mean you could reach your market better? Be friends with your prospects. Today, we don’t just wait for our clients to drop by out of the blue because we are at the right position providing service. Because communication is cheaper these days, Social Media is free; you can now reach out to your clients. You have now means to know what they think, how they feel and how you can improve your service. Encourage loyalty. If you are in the Social Media, if you have a strong online presence, it is easier for you to share your FAQs better and distributing it in a larger scale. If done right, you can show your clients that you can be trusted. Of course, this comes with a great effort on your part as you need to be consistent with your words and show that you rock at what you do. But hey, this is why you are in business, to provide the best service. All you need to do is show it to your clients. At the end of the day, they will stick with you because they know you deliver what you say you will. Filipinos are sociable being. We live to entertain and to be entertained. We are among the top social media users in the world. This is why, as an entrepreneur, you just have to look into the social media and think how you can utilize this to leverage your business. If you have more question about how to use Social Media for your business or profession, just leave a comment below or drop me a message in my Contact Me for and I will be more than happy to get in touch with you. Sorry, this blog post is not so much for VA aspirants, but you can still read if you are an online freelancer. Share your thoughts! I would always want to hear from you! Just comment below. Be The VA You Want To Be – But Where to Start? I do believe that if you have chosen your path in life, you take on a journey of self discovery. This is how I see my life as a Virtual Assistant or as an Online Freelancer. I journeyed the long path; the road that is not often taken. Took some stumbles and fell on great setbacks. 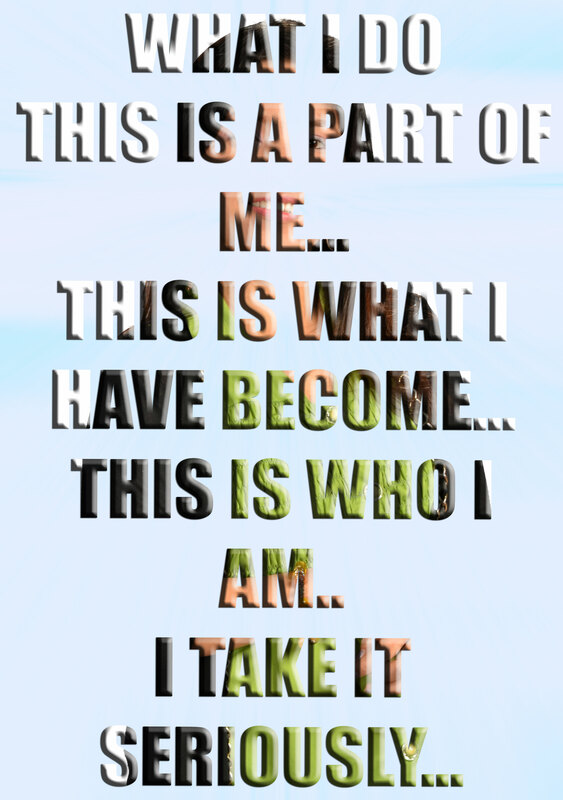 But because this is the path I consciously chosen for myself, I went on so in the end I can be the VA I want to be. If I were a baby inside the womb, I would say am 8 months right now – excited to spring free and provide the service I always want to provide. But not yet as this is me, I have to be complete, feel complete. If this is how it is for you or if you can visualize yourself following this career as a Virtual Assistant for a long haul, then this blog post is for you. Understand that following a career, whether it is online or with a company offline, is like shaping who you are. You are going to spend most, if not all, of your lifetime here. So choose well. Remember, if you love what you do; really passionate about it; then you are living your life to the fullest. But enough of that, let’s get on to where you should start? Well, I talked about my beginnings here as an online content provider https://earnfulltimeincomeonline.wordpress.com/2012/05/. The truth is that, I just stumbled on this career and at the beginning, I don’t have a step by step procedure how I got started. Fortunately for you, my friend has one and you can check his website if you are serious about starting to earn online (check down below). But, with my three years experience as an Online Freelancer, here’s my take if you want to get started. Evaluate your skills. Know what you can do currently that you think you can offer to people who need it. For me, I started out writing articles for blogs, submissions, BMR etc… I had good two years of providing web content and I still do it right now on the side. Only that my focus right now is leaning towards the marketing side of the content. So, what skills you need to know as a VA? I bought an ebook about it and you can check it out here: http://www.virtualassistantcareerguide.com/. Check out my skills list here too to see if you have the same skills as mine. Set time. Don’t let go of your day job yet, if you have one. If you don’t, then this shouldn’t be a problem. Set time where you can focus on working. Give at least two hours a day to set up your profile online to prepare yourself when prospect clients check on you. Then set four hours a day where you can focus on working. When setting up profile on these job sites, be sure that you are following advice. Read tips and really understand how each job site works. You can also network with other virtual assistants and ask some tips on how to improve your profile, how to bid for a job etc… I will certainly share the how’s here so you can also watch out for it. Hope I am able to help you out get some more clarity on starting your online career. If you need to reach me out, just comment below or like me on my Facebook page. You can ping me there and I am more than glad to help you with your online journey the best way I can. It is, without a doubt, that Virtual Assistants are becoming a prominent job these days. Whether they work at home, as we usually do, or work with a company providing virtual assistance, people are seeing the good light in working online. To prove my point, Facebook’s Philippine Virtual Assistants Network currently has more than 8,000 members, running close to 9,000. As a virtual assistant, I can tell you all the perks of working online while at home. This is an awesome situation especially for a mom like me because I can supervise the nanny who takes care with my kids while I am working. I think this is the greatest benefit of working at home. However, this kind of job is not for everyone. While I can go all day singing praises for the job I love, I can’t really say this job will fit you even if you are curious about this and would like to try this kind of career online. Here’s my take why. Time flexibility. You really can choose what time to work and what time to play. Job choices. You are free to apply for a job you want and pursue tasks you love doing. Salary goals. You can goal for an amount of money you want to earn for a given time and with the right strategy, you can achieve it. What I have stated above are just few of the things that I have freedom with as a virtual assistant. However, with freedom, you can easily fall to a trap of thinking you can do what you want. You will think that because you are free, you can work less and play more and still earn as much as you want to. That is not the case. Another danger freedom will get you is greed. Because you can apply for a job you want, you might fall into the trap of taking jobs more than 24 hours can fulfill. And because you have a lot in your hands, you will try to outsource the job and will end up not providing the quality your client deserve. And no, you can’t get the salary goals you would want if you take the freedom this kind of career can provide for granted. And so, what should you do if you want to start working online as a Virtual Assistant? Read what other VAs have to say and learn from their mistakes. Virtual Assistants do have their websites and they do share their experiences. Follow someone you would like to be years from now. I idolize Karen May Dy of http://socialmediamarketinggirl.com/ and follows what she does. Don’t just try this; you see this as a career. If you think you want to be a VA, learn as much as you can about this industry. Don’t work this out for the sake of trying. Start this work seeing being a virtual assistant as a career. The Philippines don’t need a half hearted newbie who will just likely add to negative Filipino VAs reviews in abandoning a job. Put in the ethics a virtual assistant must have if you want to grow in this industry. This means that you must be professional in presenting yourself. You must be able to protect your client’s interest. You must work on having a good reputation. We do commit mistakes along the way but be sure that you always come back up and as soon as you can. You must aim to be reliable. Be awesome at what you do no matter how simple the task might be. Never let go of integrity and honor your end of the bargain no matter what. There are a lot of things you must be as a VA and perhaps I will write a post dedicated to the Ethics as a VA but at the moment, bear these in mind if you take to embark on this career path. Avoid having a victim mentality. Yes, there are runaway clients. I did have my fair share of them and it hurts to be ripped off. But don’t enter into a contract with distrust in your heart. Don’t make your prospect as enemy who will potentially rip you off. If you have a prospect, research about them. Know about how they do as an employer and ask around. When you don’t see anything, then let go of distrust. If you keep this in your heart, if you get lazy in the middle of the project, you will be able to justify your laziness and you will not provide quality service as you should. Do your job. Being a VA is more like a business owner than an employee. At times, because you have clients, you would think you are the boss and will seek out to outsource your task right away. Before achieve this situation, you need to do your job first. Ensure that you can do whatever job you applied for and never outsource them if you can’t do them yourself. Know yourself. There are a lot of jobs a VA can do. It can be overwhelming to choose what you want. But if you know yourself, you will be able to get clear on what kind of VA you are. Hope this helps. If you have more questions about virtual assistants’ lifestyle, feel free to comment below. And if you have some ideas, please do share. I would love to hear from you. Online Career Woman: What I have been up to? Yes, I did a lot this year. I started the year with a bang actually when it comes to community building. I realized that online marketing, digital marketing, internet marketing or whatever you might call it doesn’t happen online only. A great part of marketing or getting your product or brand known is still your networking with people face to face. You can say, this is the instigator of my online community. Yeah, I did attend Ms. Janette Toral’s Digital Influencer 2013 in Rizal and met up with my online BFF Ms. Grace but I was not so clear as to what my career path back then. But when I attended this event, it became clear to me as to where I want to go. So thanks organizers for this one. Through PVAN on Facebook, I met with Carissa Coles who invited me to join an event in Dagupan. 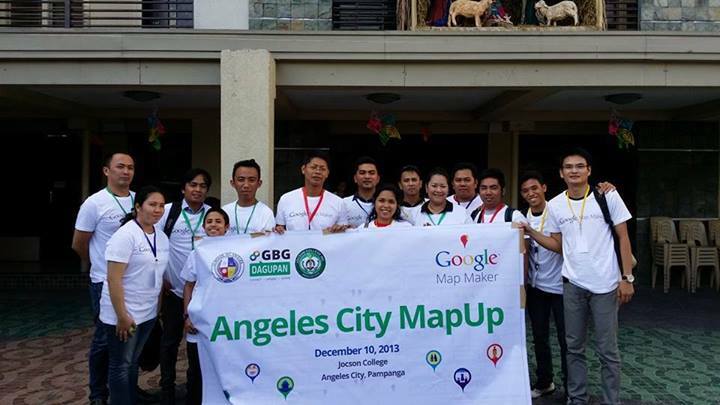 This is where my beloved community GBG Angeles started. I love helping out with GBG events, really. The experience is amazing. You’ll probably read a lot of updates from me here about these events though I try not to monopolize my post talking about GBG. But pardon me at times, this is a community with likeminded people that I like so much, so, bear with me if I have nothing to talk about :D.
And my favorite moment is the meet up. Don’t forget to leave a message below if you need to know about the groups I am in or just about anything you want to know about working online and building your community base. Truth to tell, this is the first blog that I have online with a niche that I love so much to write about. However, as you can see, I still did not take the time to update this… my bad. I do have my reasons and hopefully these reasons can justify the neglect that I did. For the past year, I was determined to set up a professional image online. This means that any blog with a .wordpress or .blogspot or whatever extension need to go. I need to have a www.somedomainnameichoosetorepresentwhoiamonline.com so that I can establish my brand online. And yes, I was able to buy two domains and got it up online. Remember the www.sunnyjeanblogging.com and the www.kickstartva.com? Don’t bother clicking these links as they will end up… most probably in a server not found. If you have forgotten about these sites… you have half the reason why I closed the sites. With kickstartva, I really love the sassy sound of kickstart. I also did like the idea of providing Virtual Assistant services such as Web Development, Web Content Management, Social Media Management and Online Business Management support; however, I fear the responsibility it entails. I am, after all, a one man show. And, it was not a blogging site too. So, I was not able to post blogs there (at kickstartva) and I was not able to sustain my two “professional” with no .something sites. I know, I still need to do a lot of soul searching on how I need to represent myself online. I know, it is better to be 20% good and have it started than be 100% and never get to start anything at all. You know, I pride myself as a planner and a doer of my plan. But, one of my flows is that if I see something is not right, I back off and take a rest and rethink things through until they are perfect for me. I saw this site as not so perfect and I was planning to shift to a more perfect place to blog. As a result, a lot of tips, interest, ideas etc… went down to drain because I was waiting for that perfect situation to blog. Imagine, one year of silence; one year of neglect… I am so sorry blog. So, why am I here again? Of course, I did not give up on my www.nodotsomethingintheendsiteexcept.com . I still plan to buy my hosting. But, as I have to work for it, I need to have an outlet of what I am up to at the moment. Lots of things happened for the past year. I learned a lot too in line with internet marketing and I so love to share these with you. Of course, I would still share the basics on how you get started to earn online. A lot of people are asking me how and where to start earning online and I still will post a lot of tips where you can get started. However, I would like to emphasize on ethics of working online and of course, the perks of working at home. You will certainly hear a lot of me here from now on until I got that domain (yeah, I got the domain, just the hosting). If you need me to tackle some topics about Internet Marketing, Online business set up, blogging for your business and just about anything you want to know working and earning online, don’t be shy to leave a comment below and I will be glad to share what I know about it. 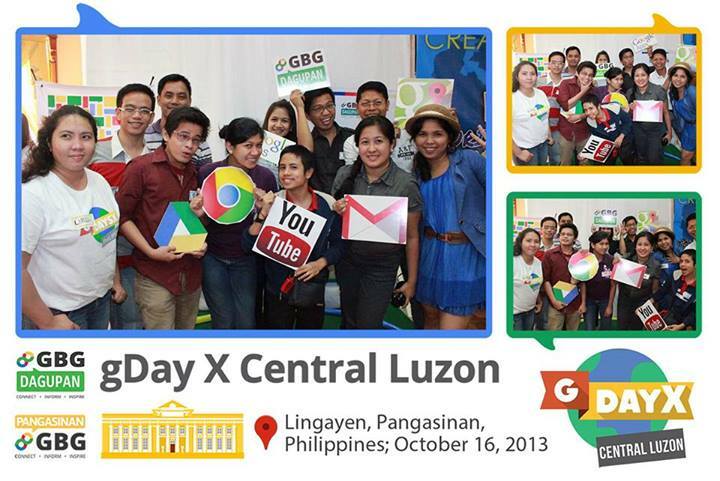 Blog and Social Media Entrepreneurship Day – My Take for this Great Online Event! Gone are the days – and I can see a lot of things needed to let go – of spending hours in a very expensive flight just to attend a Seminar and listen to speakers you just heard about. Now, with the internet, you can attend it at the comfort of your home listening to a WEBINAR. Since this January, I have been to a lot of those especially Webinars Ms. Janette Toral conducted. The learnings just made my head SWELL, hopefully not literally, with new found knowledge about Blogging, Influencing and Internet Marketing in general. And yesterday was no different, I have learned BIG time too. And to think that I have been doing nothing these past months but researching and making it to a point that I heard all the IM jargons I need, but I realized yesterday that there are a lot to learn still. You just don’t know how dumbfounded that was so Kudos to my favorite people online who moderated the event, Ms. Janette and Mr. Genesis Reonico. What is there MORE on Internet Marketing? To be honest, I was sleepless the night before that I really don’t have any plans to finish the webinar, the longest that I attended so far. And once I sat to listen, can’t let go. And I was early too. So, what new things I have learned and SM marketing supplements I needed provided in that five-hour web event? Social Media Monitoring. I never even thought that you have to monitor tweets for a purpose of knowing how your market is seeing you. Really. But the way Mark Delgado put it, it is VERY important especially for big brands like Globe. A single tweet that says something against you can go viral and really, if this happens, no public relation offer can prevent or even minimize the damage. One up for Mark for sharing this. For an IM wannabe like me, this is a very important input. Now, I can add this to 100 checklists that I did to INTERNET MARKETING proof your BUSINESS WEBSITE – this will make it 101 checklist now, doesn’t it? 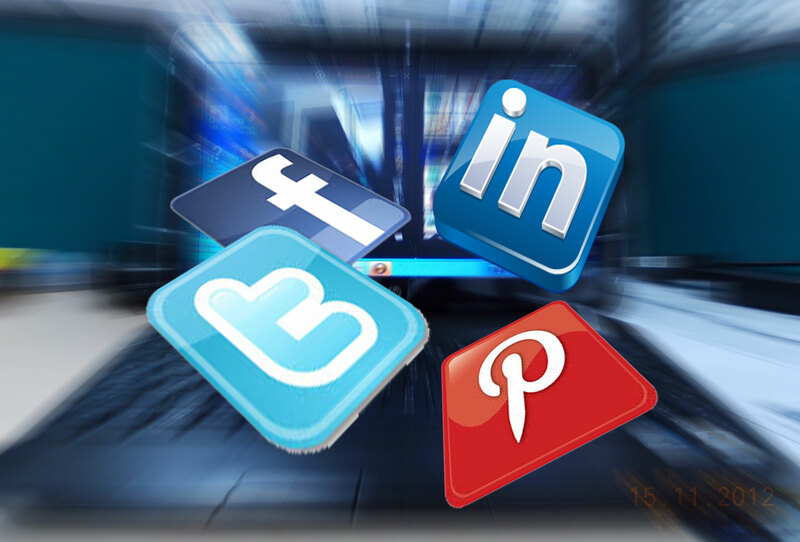 Using Blog and Social Media to Serve SME Needs. Admittedly, I didn’t listen as much on this topic cause my son was driving me crazy but what I managed to hear really got me thinking hard. Vanj Padilla shared that businesses today should really realign their marketing strategy and realized that Social Media is a very, very important part of it. I know of a business man who chose to still with the gulf clubs and casinos on closing corporate business as that is the only place businesses are done. I don’t want to play greater than thou but working as a VA in very successful business online working on processing leads for businesses with services or product that has nothing to do with the internet, I’d say, corporate deals in the Philippines can use a lot of help using the internet. But this is what I and my like-minded friends online are advocating for so there is still hope for the future. Effective Graphic Design for Blogs and Social Media Campaigns. This one I agree 100% and thanks to Infinityhub.com Gilmar Padua, I have to give up on making my online graphics for my upcoming website – it has been upcoming for a month because I can’t do graphics the way Gilmar does. The mind doesn’t think in words, it sees images. When I was a book addict, I see words as images. So one thing that makes a website great is its graphics. Besides, if you just can’t express your thoughts in words, images will do, it can even be great if you know how to. Using Online Video to Create Engaging Content. A new thing to consider. I think that video on a website rocks. And while Randolf Novino’s internet connection didn’t make it easy for Randolf to explain what he got, I read the tweets #bsmeday and listeners were getting it. I noted that if you want to start using video for your content, you don’t need to buy DSLR for it nor do you need the light effects big gun tools. Just do with what you have. The most important thing is you keep the content short and sweet. The Three Rs of IM. Yes, didn’t use the exact title of Ms. Fleire Castro’s slide because I think this is the meat of her presentation: Reach, Resonance and Relevance. Her story gave me goose bumps because I can relate. I was, in a way, fired because I was caught writing while working. Ironic, I really was not writing, I was proofreading past work because I want to improve my article. Well, that was in the past and all was forgiven. But Flare’s story gave me a hope that it is possible to achieve something thought to be impossible. And yes, not a short journey nor is it easy but if you don’t stop, you will get there. Two thumbs up for Ms. Fleire and if I have more thumbs, I will hold it up too. I just want to give it to Genesis, a very inspiring person I met online, for coming up with this event. And I will continue on learning more in the hopes that someday, I can contribute to the advocacies Ms. Janette has been working on for our e-commerce. I will be waiting for more webinars like this. Thank you and more power! Hi, I want to just share this technique of mine to those of you newbie or oldie article writers out there. You know, and if you don’t know I am now telling you this – that writing an article for online clients means you are able to think and write quality articles quickly. There is no ‘but’ about this rule. And admittedly, as some of my dear clients are probably reading this, I am remiss on both accounts of late as I transition from being an article writer to a VA. And again, this is not an excuse. That is why I am writing this article for all of us, for you to let you know how important it is to provide quality articles and for me, to remind myself how important QUALITY SERVICE is. I have just become an advocate of that so I have to stand by it and do my best to provide the quality my clients deserve. Online reputation. You know, we are providing service to people around the world. We are not only building an online reputation for ourselves but for Filipinos as a whole. If you are just starting to be an online writer or a VA right now, don’t do it out of trying this career online. Do it as you treat a day job – with sense of responsibility. If you take it for granted that there are a lot of job offers as a writer out there, you can be all wrong. While the demand is high for article writers, the clients would like to have a writer who can really deliver with less work on their part. They would like to work with somebody who is able to provide the quality they need and trust this person to do just that all the time. Don’t be greedy. As I have mentioned, there are a lot of job offers for article writers. Don’t accept if you have your hands full with other gigs or personal stuff to do. I can say this is my situation for the past three months – well, for the past two years as I juggle a day job and a part time job as a writer. But now that I have decided to build on a career online and really invest all my time, effort and even cash for it, I have learned to block my schedule and only accept clients where I can truly serve. I am also determine to serve my clients (one on writing and one as a VA) better and better as I learn how to be a better online professional. Enroll yourself to a system of following a career online. This is the system that I am actually developing right now that I will share to you soon. Basically, this is a system where you start to learn blocking your time, both personal and working time, to fully enjoy your lifestyle. I just learned that time is the most important commodity in life and that you don’t just squander it on doing things that are pointless in life or in your growth as a person. So check it out later on my professional website. Take time to rest. You can’t serve well or write quality articles if you are too tired to do it. So take a rest. No use getting sick on a job that won’t pay you for sick leaves. So rest. Turn off all distractions. You have to cover your ears from noise, logout from your facebook and turn the internet off. Yes, you have read it right, you have to turn everything off and just write. Use the internet only for research. I find it easier to write if I just put everything in a draft first. I will research on a topic; paste all the interesting stuff on the draft and just save it for later. Later is the time to just write, write and write (this time, rule 1 should be applied). Use your own words. Don’t just rephrase a sentence or a paragraph as much as possible. Get the juice out and the write it. If you don’t have any idea about a topic, go to a forum about that. Copy and paste interesting stuff and then just rephrase them the way you understand them. Just be sure you understand the context. Use paperrater.com or word built-in grammar check to see if you have all the spellings and grammar taken care of. Of course, you might miss some so you might have to read it and proofread it a bit. If your client is rushing you to pass, as long as your article passed paperrater, then you are good to go too. Develop your personal touch. You know, as a writer, you have to be able to develop your own flow of words; your word play signature so to speak. This will not only endear you to a client to a point where they will come back for more, you will also enjoy writing more. Why? Because you will have something to look up to while writing thinking “Hmmm, just how am I going to play around this topic?” This will not only keep the boredom out you won’t think of procrastinating a task you love doing. So that’s it for now. I was supposed to write something like how to be a VA, but hey, this is me, always spontaneous on what I write. See, I can share a lot more information if I let hard earned lessons kicked in and be shared to the world. So good luck guys on your career online and let me know what’s up. You can visit me on my blogsite too at http://sunnyjeanblogging.com.